A few weeks ago, when I was having a minor operation, Boy was thoughtful enough to buy me a little get well gift. It was a totally unnecessary, completely adorable gesture that warmed my heart and really did make me feel better. And I bet you’re thinking, he probably got her some flowers, a good book, or maybe a DVD set of the past 800 billion seasons of Lost (which I am so behind on that I think, like the Harry Potter craze, I will have to completely ignore instead of trying to catch up and admit to my complete, pop culture disconnection). But I’m sorry to say you’re wrong. The gift was not a bouquet of lilies. Nor was it a book, a DVD set, or a box of chocolates. It was in fact something more useful, delicious, and entertaining than all four of those options. It was a dehydrator. 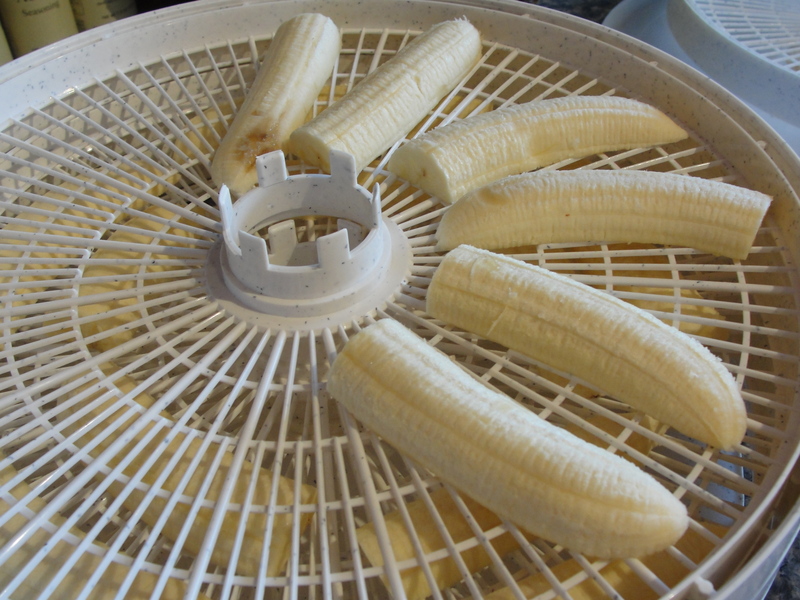 Now, Boy and I have only tested this monsterous machine once – to make dehydrated bananas, which look like slugs but taste like banana bread – but I see endless batches of low sodium fruit snacks and beef jerky in our future. The dehydrator is first and foremost useful for making low sodium treats on the cheap – and thank goodness, because those plastic tins of dried fruit from Whole Foods were really starting to cut into my bank account. 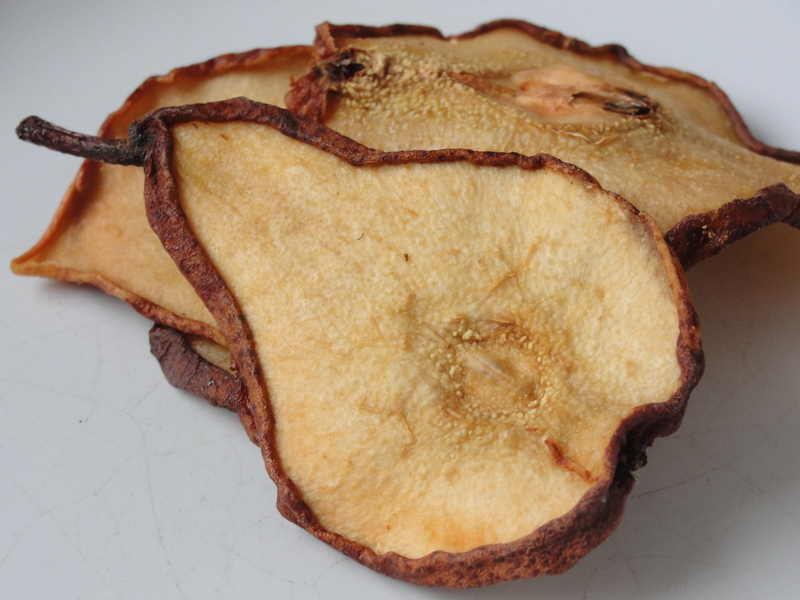 But the dehydrator can do much more than slim down an entire 3-D pear to a 2-D slice of perfect proportion. The dehydrator is also a wonderful tool for making travel-freindly meals. For only $53, I am now able to make all kinds of dried, low sodium dishes that I can easily pack for the trips abroad and adventures in the wild. While available backpacking food is incredibly space efficient, it is also extremely high in sodium. So usually, when I travel or camp, I have to forgo these options and find flat, non-perishable items (like tortillas, granola, and sodium free nori sheets) that I can stick in my bag and nibble upon. 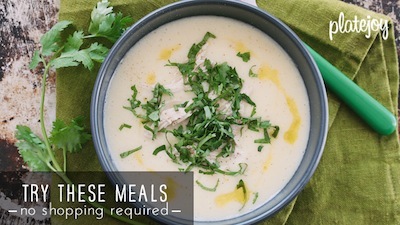 These solutions work, but the low sodium, space-friendly choices are pretty limited and tend to not be very nutritious or filling. With my new toy, though, I can now reduce entire pots of vegetable heavy, carb-filled pastas, rice dishes, and soups into travel-sized portions. And when I’m hungry, all I have to do is add hot water and chow down. I am still not sure how to properly preserve the food without salt – and after my experiment with bacon, my stomach is a little reticent to risk another round of self-imposed food poisoning. But as I have a four week back packing trip coming up in my near future, expect some major research in the coming months. So its time to plug that dehydrator in and get plugging on some salt and moisture free recipes. And no matter where you are, or what deserted road you’ll travel, you’ll be able to chow on. Glad you found some yummies to dehydrate! That pear looks amazing! Enjoy! If you come up with some good tasting jerky recipes let us know about them. I miss that stuff so much! 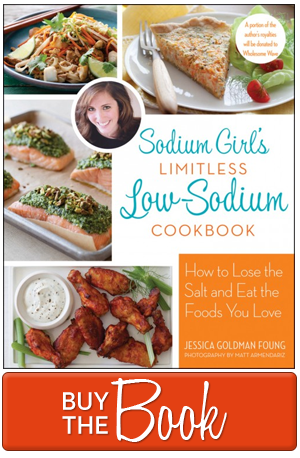 I’m having a difficult time finding a jerky recipe that is either no sodium or low sodium. Did you find a good one? Hi Jessica! My sister-in-law actually made me beef jerky and we are working on a recipe for the blog!